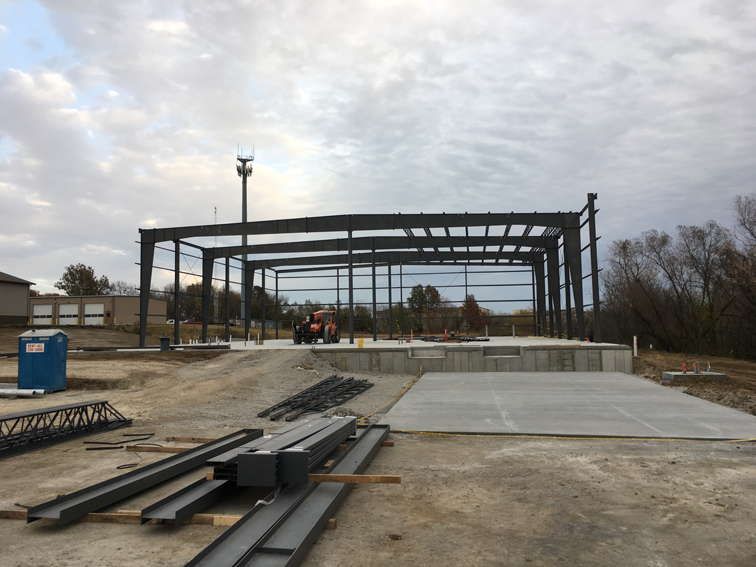 ARCO/Murray recently started construction on a 14,400 square-foot build-to-suit healthcare laundry facility for Mosaic Life Care in St. Joseph, Missouri. Construction began in late summer with a targeted completion date of April 2018. Mosaic Life Care is replacing their existing laundry with a new state-of-the-art facility to improve efficiencies and provide additional capacity. ARCO/Murray is providing a complete design/build solution including architectural and engineering design, permitting, construction and final equipment connections. The laundry will include a central dock, mechanical room, office area, and production space. Loomis Brothers Equipment Company is providing Milnor washroom and Chicago Dryer finishing equipment, and Kannegiesser ETECH is providing the rail system. ARCO/Murray’s Max Potvin is project manager with John Holdmeyer serving as superintendent.